The M701-240 is a loop-powered device controlling an unsupervised double pole (one normally open, one normally closed) output suitable for managing 240VAC loads. 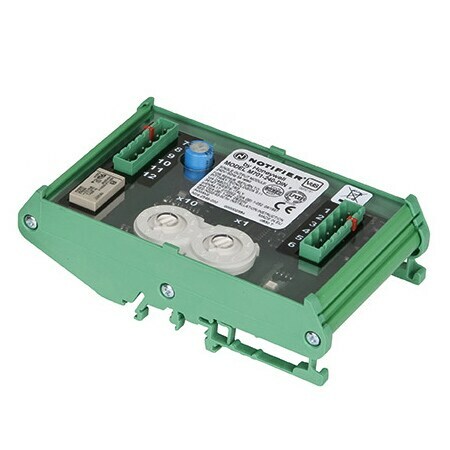 The output relay is a bistable device, latching in the on or off state on command from the control panel. The module is supplied in a wall mounting box as standard with a grounding terminal provided. 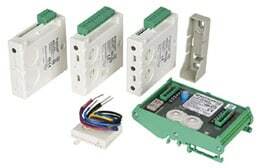 The M701-240-DIN has the same features and capabilities as the M701-240 but is designed to mount directly on to a standard 35mm ‘Top Hat' DIN rail. The module is supplied unboxed for installation in a suitable enclosure.